The Louisville Bats swept a double-header from the Indianapolis Indians with a 6-0 win in game one and a 1-0 win in game two. Starting pitchers Ben Jukich and Chad Reineke each pitched five shutout innings for the two wins. The Bowling Green Hot Rods scored a single run in the top of the ninth inning to earn a come-from-behind 8-7 win over the Fort Wayne TinCaps. Designated hitter Cody Rogers was 4-5 with two home runs, four RBI and two runs scored for the Hot Rods. The Lexington Legends were blown out 10-2 by the Augusta GreenJackets to even their series at one win each. Second baseman Jose Altuve was 2-3 with a run scored. Former UofL third baseman Chris Dominguez accounted for little of the GreenJackets’ offense in the game as he was 0-4 with a run scored. Former Campbellsville catcher Richie Rowland homered in his third consecutive game and extended his hitting streak to 12 games for rookie-level Missoula. Former UK outfielder Collin Cowgill launched his ninth home run of the season and drove in three runs for AA Mobile. Former UK first baseman Ryan Strieby was 3-4 with two doubles and a run scored for AAA Toledo and has hits in six straight games. Former WKU infielder Wade Gaynor was 3-4 with a triple, home run, four RBI and two runs scored for low A West Michigan. Former NKU outfielder Jake Shaffer was 2-3 with two runs scored for high A High Desert and has hits in seven straight with multiple hits in five of those games. Former Morehead St. shortstop Drew Lee was 3-5 with two doubles, two RBI and one run scored for rookie-level Bristol and is batting .328 in 14 professional games. 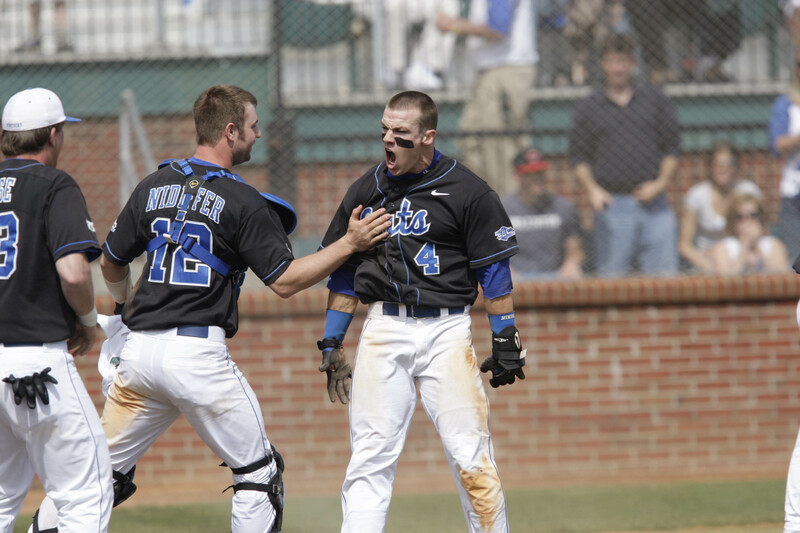 Former Morehead St. outfielder J. D. Ashbrook was 3-4 with two runs scored in that same game for Bristol. Boyd County native right-handed pitcher Tyler Gatrell picked up his fourth save in six appearances and has not allowed an earned run in six and one-third professional innings.